Gold dropped in early trading on Wednesday as market players looked ahead of Fed February minutes to better understand the regulator’s position on interest rate normalisation. On the Comex division of the New York Mercantile Exchange, gold for April delivery eased 0.24 percent to trade at $1235.90 an ounce as of 07:25 GMT. Gold traders continued to monitor speeches from FOMC members to determine the regulator’s next steps on monetary policy, especially if there are real chances of a March rate hike or not. On Tuesday, Philadelphia Fed President Patrick Harker assured that he would prefer an interest rate hike in March if the economy continued to strengthen. His remarks are in line with Cleveland Fed President Loretta Mester, who said a day earlier that it would be more “comfortable” to hike next month. Also, Markit reported a lower-than-expected preliminary reading on the manufacturing PMI (54.3 vs 55.3 estimated) and services PMI (53.9 vs 55.8 estimated) for February. These figures increased doubts regarding a March hike, as Fed’s Yellen said last week that the economy should keep growing at the current pace to adjust rates. Today, market players will pay close attention to the release of Federal Reserve minutes from the January monetary policy meeting in search for hints on the timing of the next rate hike. Gold is very sensitive to changes in US benchmark rates. As it is a dollar-denominated commodity, higher rates lift the opportunity cost of holding non-yielding assets such as bullion. Oil prices extended gains in Asian trade on Wednesday as trades remain on an optimistic position ahead ahead of industry weekly data on US crude stockpiles. US West Texas Intermediate oil futures traded at $54.50 a barrel on the New York Mercantile Exchange, up 0.31 percent from its previous settlement. The London-based Brent crude oil futures soared 0.42 percent to trade at $56.90 a barrel as of 07:45 GMT. The American Petroleum Institute (API) is due to release its weekly estimate on crude reserves later in the day, while official data from the US Energy Information Administration will be available tomorrow at 16:00 GMT. 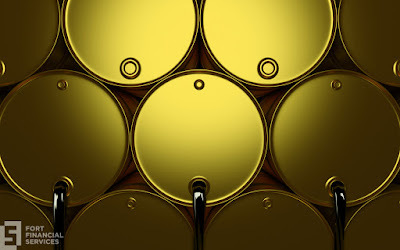 So far, analysts are pointing at a 3.325 million-barrel build for the week ended February 17, and a reduction of 1.625 million barrels for gasoline and 1.075 million barrels for distillates. Yesterday, oil benchmarks settled higher after OPEC Secretary General Mohammed Barkindo said that the oil group was successfully accomplishing the goals of its agreement to reduce 1.8 million barrels from global production and showed himself confident of further commitments. Barkindo also mentioned the willingness of independent producers, such as Russia, to keep working on this agreement, while adding that compliance currently stands nearly 90 percent. His comments at the International Petroleum Week conference renewed speculation on higher energy prices despite an increasing US shale production. Data has been recently showing that the United States is constantly growing its output level to counteract the OPEC-led efforts to rebalance oil supply and demand.